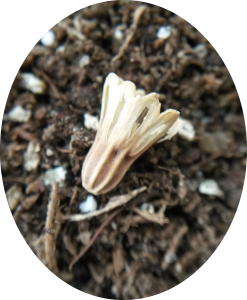 A variety of rare and unusual seeds are available for purchase at $1.00 per packet plus $3.00 shipping. The Full Seed List is available for download (includes source and year). Our seeds are available by mail, at plant sales, and at the Elizabeth C Miller Library. We hold monthly seed cleaning and packaging parties which you can join. Please contact Bob Lilly at 206-324-0179 or Kandy Kroll at seeds@hardyplantsocietywa.org for more information. Seed germination and care information is also available at Tom Clothier’s Garden Walk Details for perennials are also available.